HDF helps families who already own their homes to make sustainable choices for their future. Our programs are created with the help of both public and private investors, to offer the best possible solutions for sustainable homeownership. 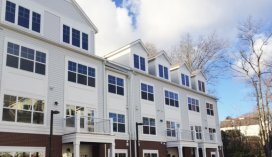 If you want to learn more about HDF’s other programs for commercial multifamily developers, then call our Senior Commercial Loan Officer Brandon Oldham at 203.969.1830 x2012. a revolving pre-development energy loan fund covering the costs of energy opportunity assessments, audits, and project scope definitions. term financing to bridge gaps and provide a lower weighted average cost of capital for viable projects.